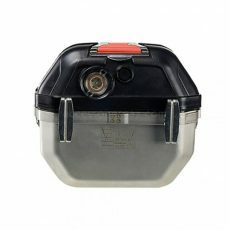 Emergency escape breathing device – or EEBD – and self-rescuer– or SCSR – are designed for emergency evacuations from unbreathable, poorly oxygenated or highly toxic environments. 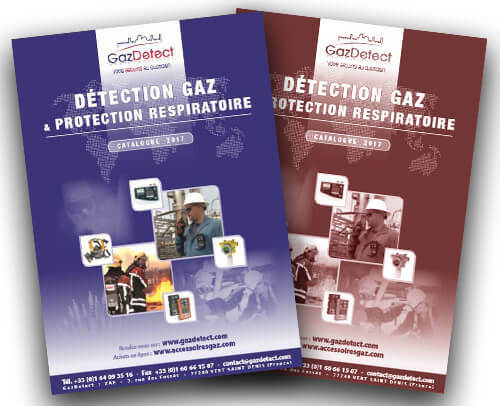 Contrary to air purifying respirators – which are inefficient with a low oxygen rate – they provide safe breathable air to evacuate an unbreathable area. Emergency escape breathing device – EEBD – and self-rescuer – SCSRs – are used in case of emergency evacuation from unbreathable, poorly oxygenated or extremely toxic areas. They can be used only in this specific situations (emergency evacuation) and not for on-site interventions or rescue operations. 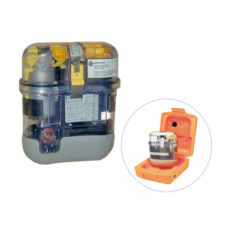 Emergency escape breathing devices are easy and fast to use. They provide breathable air for a determined time to quickly evacuate a infected or unbreathable – oxygen deficient – areas. Contrary to self-rescuer masks, an EEBD is not for single-use. 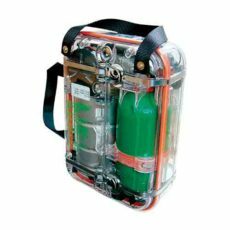 An emergency escape breathing device is a “slim version” of a self-contained breathing apparatus compacted into a carrying bag. Opening the EEBD bag automatically releases air from a compressed air cylinder (pin system). 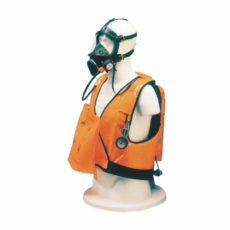 The user just needs to wear the emergency mask or hood and breath normally while evacuating a danger zone. In order to get a new up and running EEBD, you just need to refill the compressed air cylinder! Chemical oxygen self-rescuers use a KO2 cartridge (potassium superoxide) that chemically reacts with expired air to produce oxygen. Humidity associated to carbon dioxide emitted while breathing produce a chemical reaction of the KO2 while the carbonic gas is fixed. This chemical reaction releases oxygen into the breathing bag. 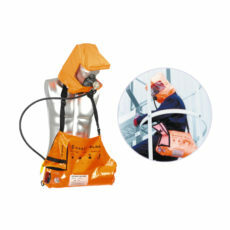 Compressed oxygen self-rescuers use a different process. Expired air is stored into a breathing bag. A compressed oxygen cylinder will re-oxygenate depleted air to make it breathable again. A lithium hydroxide bed will filter CO2 included in expired air to make it clean and breathable. The majority of accidents – oftentimes severe or lethal – that occur in confined spaces are linked to an oxygen deficient atmosphere, a presence of toxic gas or vapor, an explosion or a fire. Thus they are the first risks to monitor during the working process. The EBA 6.5 uses compressed oxygen rather than chemically producing oxygen. It can be refurbed for a lower cost.